It will be years, perhaps decades before electric cars take over the roadways, but an old friend of the combustion engine may be meeting its end early. A Japanese/Romanian research team has supposedly designed a laser that can ignite the fuel in combustion engines as effectively as a spark plug. And the team is already in talks with Denzo, a sparkplug manufacturer, reports the BBC. The case against spark plugs is pretty good. They haven’t changed much since they were invented 150 years ago, and they require the fuel/air to be brought very close to them, which hurts fuel efficiency. On top of that, they erode after a while. That’s not all they do, either. My car’s spark plug and starter system malfunctioned and caused my car to go haywire and spasm out of control just last year. Here’s how the laser works. The team has created a system where two or three laser beams can be focused (like a Death Star) into an engine’s cylinders, increasing the completeness of combustion. This could improve fuel efficiency and engine degradation. 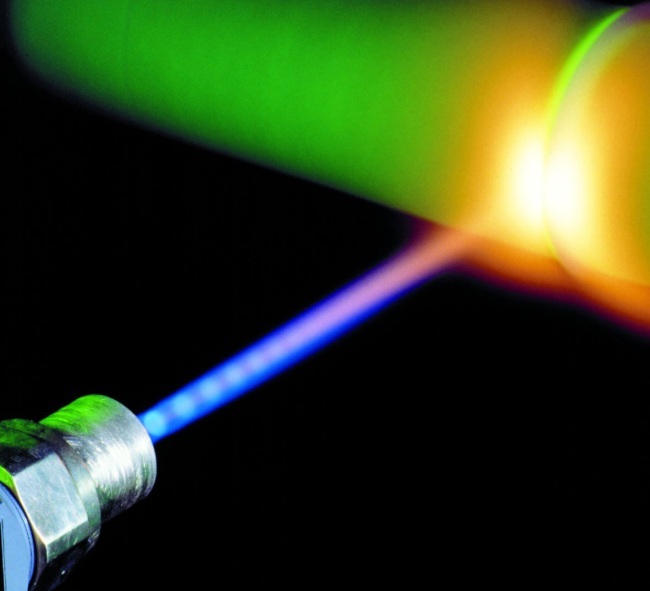 Unfortunately, to achieve this, the lasers do require quite a bit of power–roughly the same amount as a spark plug. So the question is, will your next car be electric or will it have a laser-ignited engine? In either case, it’s nice to see the automotive market finally see some fun new advances.